NEW YORK – In an industry first, Verizon and Cisco are collaborating on accelerating adoption of Hybrid Information-Centric Networking (ICN), an emerging and innovative approach to content-aware service offerings. By focusing network communication around "named data" rather than location identifiers such as IP addresses, Verizon and Cisco believe they can dramatically simplify next-generation network architecture; enhance user-to-content communication; and improve mobility, storage and security in the network. In collaboration with Cisco, Verizon successfully demonstrated Cisco's open-source ICN software and validated its benefits over standard TCP/IP solutions for optimized mobile video delivery in a lab at the Verizon Innovation Center in Waltham MA. The demonstrated benefits include key features of the ICN communication model – including dynamic adaptive streaming solutions and dynamic load balancing of media – which will lead to a better user experience. In the network, forwarding/caching strategies maximize traffic localization and bandwidth savings in backhaul/core via enhanced multicast. Subsequently, Verizon also successfully demonstrated key features of Hybrid-ICN by simplifying the insertion of ICN technology in existing IP infrastructure and enabling coexistence with legacy IP traffic. "The Hybrid-ICN solution delivers all the benefits of ICN communication with minimal existing IP infrastructure upgrades required," said Srini Kalapala, vice president, Technology Architecture and Strategy at Verizon. "By demonstrating the benefits of a virtualized Hybrid-ICN network at scale, we showcased how the technology can simplify the way users access content in a mobile environment and lead to a better user experience. 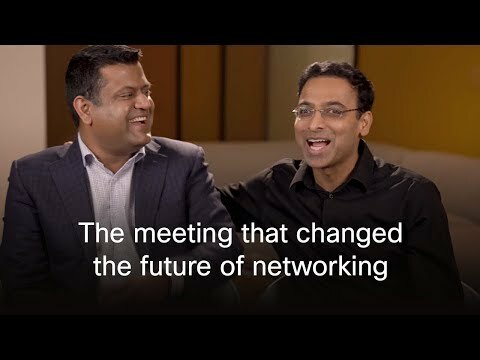 We're pleased with the results of our collaboration with Cisco and with the promise of the technology." "Cisco's Hybrid-ICN solution provides secure content-intelligent transport for network service providers," said Dave Ward, senior vice president, CTO of Engineering and Chief Architect at Cisco. "Through our co-development with Verizon, we found that H-ICN empowers the network edge with low latency caching and computing capabilities for the support of new revenue-generating applications such as enterprise multi-radio access, augmented and virtual reality, and IoT for 5G." Verizon Communications Inc. (NYSE, Nasdaq: VZ), headquartered in New York City, generated $126 billion in 2017 revenues. The company operates America's most reliable wireless network and the nation's premier all-fiber network, and delivers integrated solutions to businesses worldwide. Its Oath subsidiary reaches about one billion people around the world with a dynamic house of media and technology brands.